Residents can enjoy full hotel-style services including 24-hour reception and check-out services, a daily housekeeping service, security and concierge, in-suite dining, and Frasers branded service concepts. 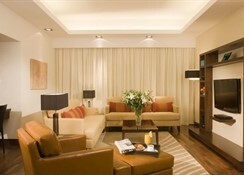 Business guests are sure to appreciate the meeting rooms, a business centre and a guest lounge. 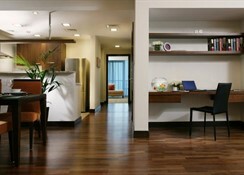 Built in 2010, the air-conditioned establishment offers 180 rooms in total. Further facilities include a lobby, currency exchange facilities, lift access, a newspaper stand, kids' club (fees apply), cafe and restaurant. Guests may also take advantage of the Internet access, as well as both room and laundry services, and a car park (fees apply). Normal check-out time is 12 noon and check-in time is 2 pm.The upscale rooms come with free Wi-Fi, Nespresso machines, and marble bathrooms with designer toiletries. 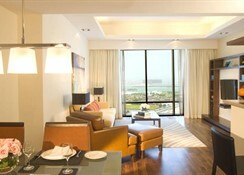 Upgraded rooms add balconies with city and coastline views. 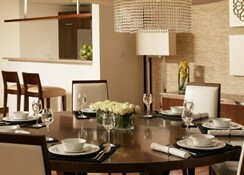 The 1- to 3-bedroom apartments feature living, dining and kitchen areas, along with laundry facilities. A cosy all-day restaurant serves international food and offers outdoor dining. There’s a wading pool and a playroom, plus a temperature-controlled outdoor pool, a 24/7 gym and a spa. 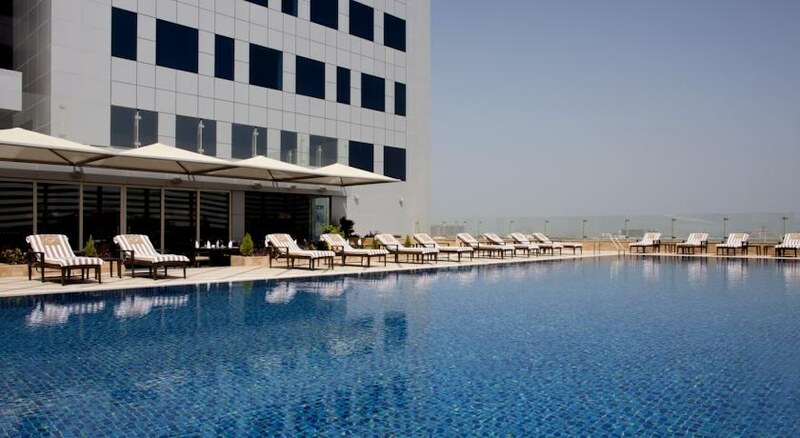 This luxury hotel occupies the top floors of Sidra Tower and overlooks the Arabian Sea. 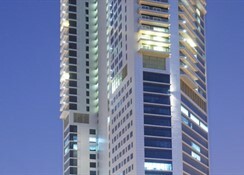 It's 6 km from the Mall of the Emirates and 12 km from the Emirates Golf Club. We are writing to you to inform you that Fraser Suites is undergoing for a soft refurbishment. They are converting 1/3rd of their hotel room inventory to Studio Apartments with a fully fitted kitchenette and washer as an added facility for your guests. They are also replacing the fitted carpeted flooring in the bedrooms of all our apartments with engineered wood parquet. Whilst this soft refurbishment will cause little or no inconvenience to any guest, it does reduce the inventory available to sell at the hotel. 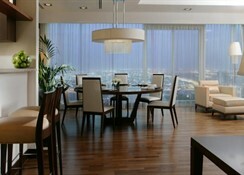 Great stay, room size, cleanliness, staff and breakfast. Only thing to consider was the distance to the main parts of dubai. Otherwise everything was great.